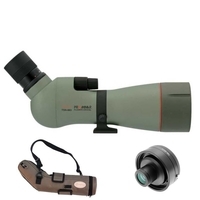 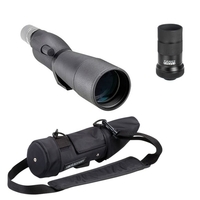 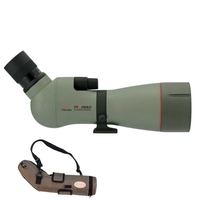 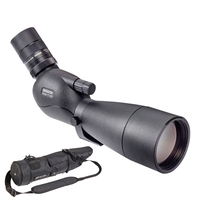 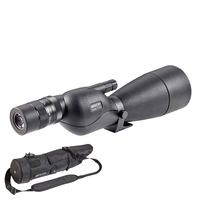 Spotting scopes are the ideal way to observe birds and other wildlife. Modern optical technology allows spotting scopes to give a clearer and more defined image than ever before. 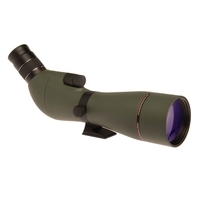 We stock the world's best optics manufacturers. 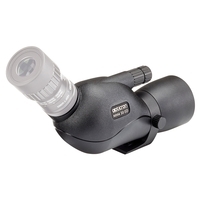 Spotting scopes vary in price greatly but we provide a large selection to suit any budget or application. 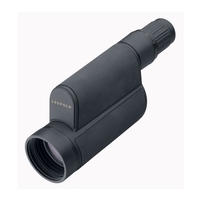 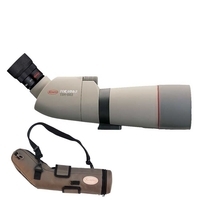 For spotting scopes that offer great value for money, look at Opticron and Hawke. For top of the range optics that offer unrivalled clarity and build quality, try Swarovski, Zeiss, Leica and Nikon. 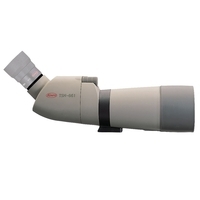 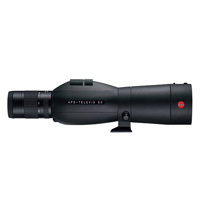 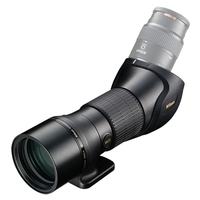 Whatever you're looking at, Uttings offers the best range of spotting scopes. 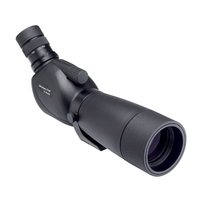 Should I buy a straight or angled spotting scope? 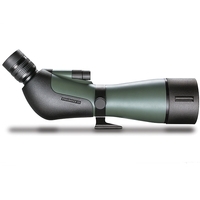 A straight scope is likely to be a better option for hunting and stalking for the ability to look straight through the scope whilst lying on the ground. 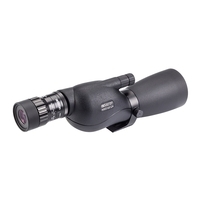 An angled scope is likely to be more comfortable to use for extended periods of time, and allows greater flexibility for viewing angles and applications. 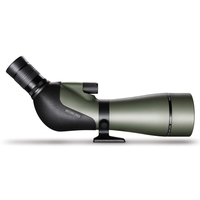 What do the numbers mean in spotting scope descriptions? 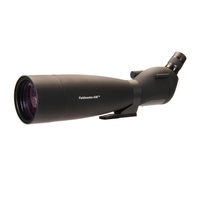 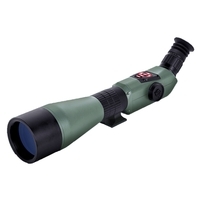 A spotting scope will normally have a set of numbers in its description, for example: 20-60x85. 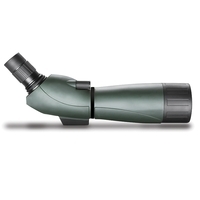 The first set refer to the magnification of the scope. 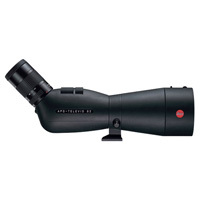 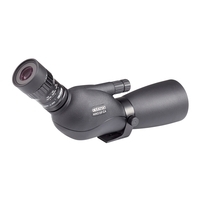 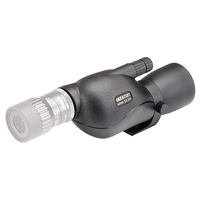 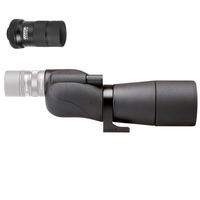 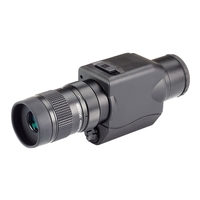 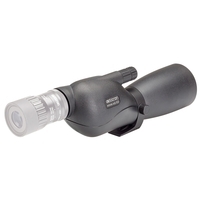 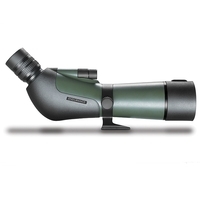 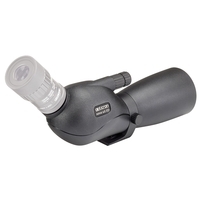 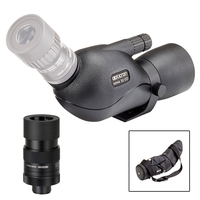 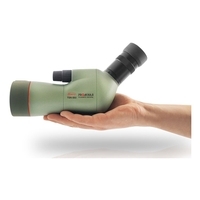 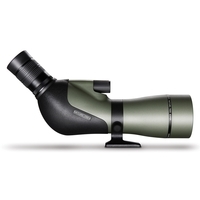 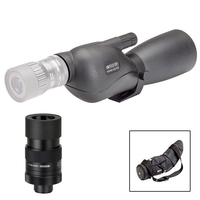 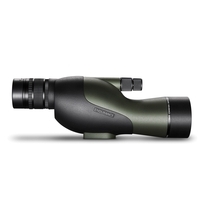 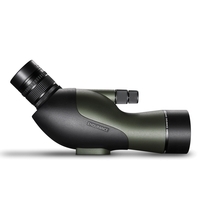 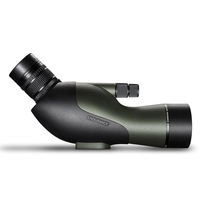 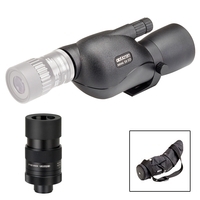 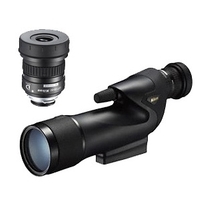 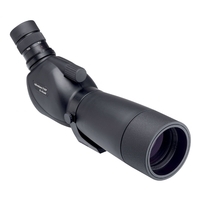 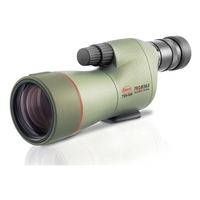 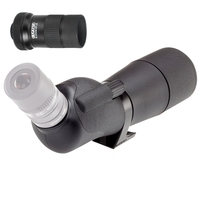 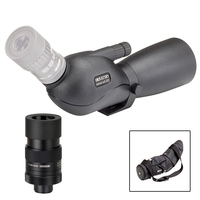 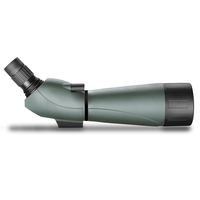 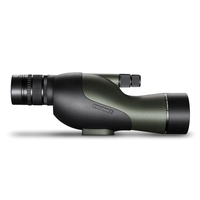 Where separated by a dash, this means the scope offers variable magnification. 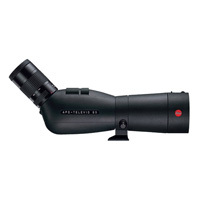 The second number refers to the diameter of the objective lens in millimetres. 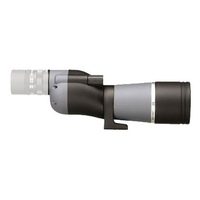 The bigger the objective lens, the more light the scope can take in, and the better the optical definition and brightness.